Blue Columbine – Enjoy These Unique Blue and White Flowers in Your Garden! The Blue Columbine Flower belongs to the buttercup flower family, the Ranunculaceae. This columbine flower is commonly also known as Colorado Columbine Flower or Colorado Columbine (Colorado State Flower). This herbaceous perennial columbine flower is found across the Rocky Mountains in North America. The plants like to grow in meadows, open woods and on slopes of screes from the mountain basis up to the alpine regions. The flowers in the wild can occur in the hundreds colouring the landscape in beautiful different shades of blue and white! 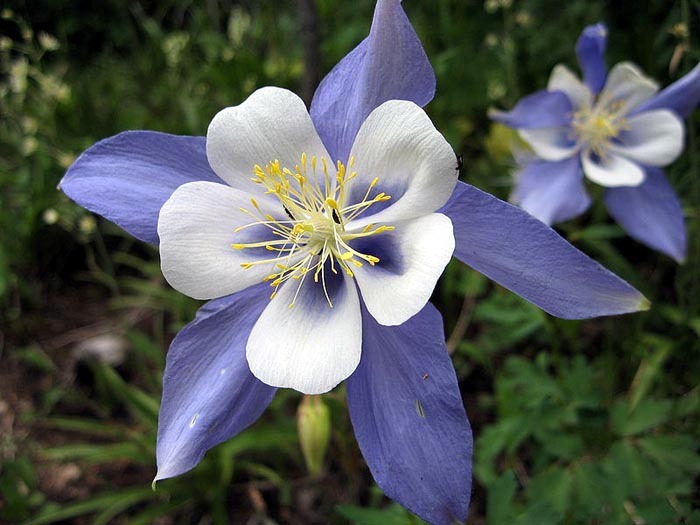 No wonder that the blue columbine flower is the Colorado state flower! The Colorado columbine flowers have white sepals and petals with various hues of blue. The spurs are quite long. These gorgeous flowers attract various insects like butterflies, moths, bumblebees and also birds. They are excellent for near-natural gardens, cottage gardens and rock gardens. It is also a great addition to every butterfly garden! The blooming period is from spring to summer. The lacy foliage is a wonderful backdrop for the two-toned flowers. The plants grow up to 90 centimetres (36 inches) in height. They grow in full sun to full shade in average soil that is kept well drained and moist. 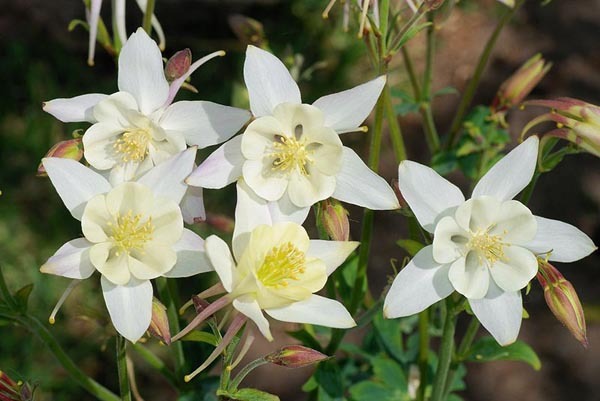 Colorado columbine flowers are excellent garden flowers that are easy to care for. There exist various hybrids and variations with different flower colours. When you order A. coerulea 'Origami Mix' you usually get a mixture of all Origami cultivars. This is nice when you are planning a really colourful garden!  from: Nature Hills Nursery, Inc. Flower of the Month of May!